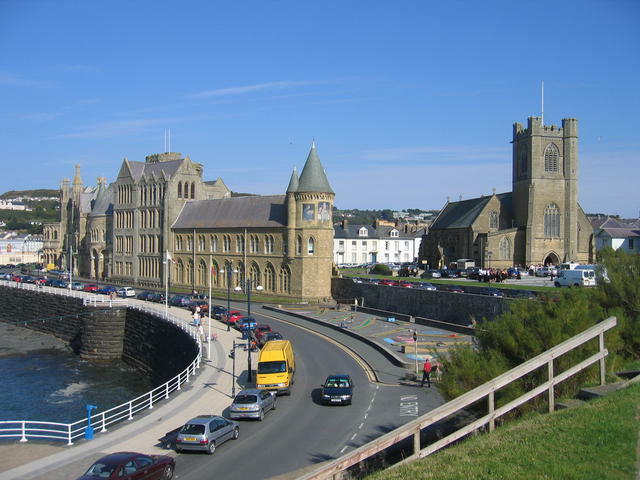 Aberystwyth is unique because it retains its Welsh character, with half the population speaking Welsh, but is at the same time cosmopolitan. We have welcomed Syrian refugees here and they love it because of the warm welcome they have received. The mile and a half long promenade is the place to be at sunset and to watch dolphins. And, in winter to watch thousands of starlings make graphic murmurations in the sky before roosting under the pier. The prom also forms a section of the Ceredigion coast path. 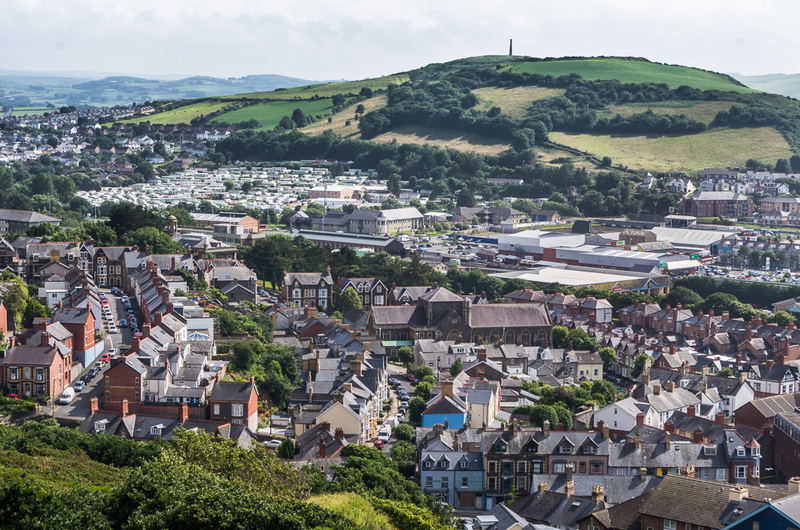 The town is fortunate to have three bays: North beach, South beach and Tanybwlch. Pendinas is an ancient hill fort towering over the town. It is on the South side to the North Constitution Hill which was a Victorian theme park. Recent surveys assess the fort’s age as being older than the iron age. 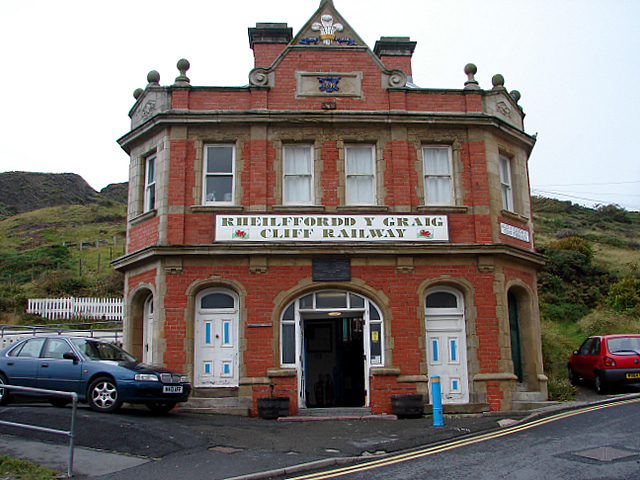 The Aberystwyth Electric Cliff Railway is the longest electric cliff railway in Britain. It climbs Constitution Hill from the northern end of the town’s promenade with trains running every few minutes during the spring, summer and early autumn. The National Library of Wales is our very own Buckingham palace overlooking the town from the east. And, the Ceredigion Museum, with its newly refurbished entrance and shop, is a wonderful place to spend a few hours. For children there are three playgrounds; a park with a labyrinth, an avenue and a brand new riverside community park and skate-park. A cycleway follows the river from promenade to the hills. The harbour was once one of the busiest in Wales. It is fed by the rivers Ystwyth and Rheidol (the steepest river in Britain). 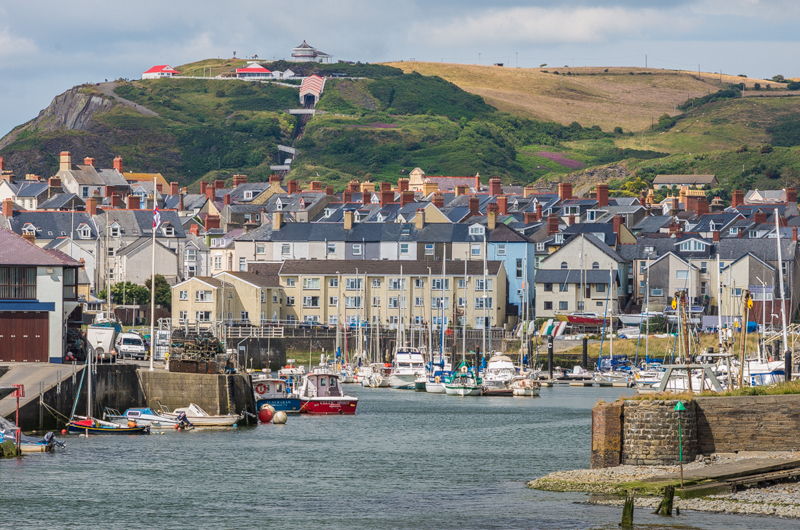 The harbour attracts many visitors to sample the numerous cafes, bars, and restaurants. Today these include Chinese, Indian, Italian and Mediterranean cuisine. The local weather is mild because of the Gulf Stream which warms the whole region and makes for pleasurable visiting.